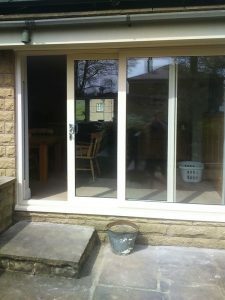 All our sliding patio doors are bespoke designed and are guaranteed for 10 years. When you want to flood your living space with natural light, sliding patio doors are the perfect solution. Allowing more natural light into your home enhances your mood, making you feel relaxed and lowering stress levels. 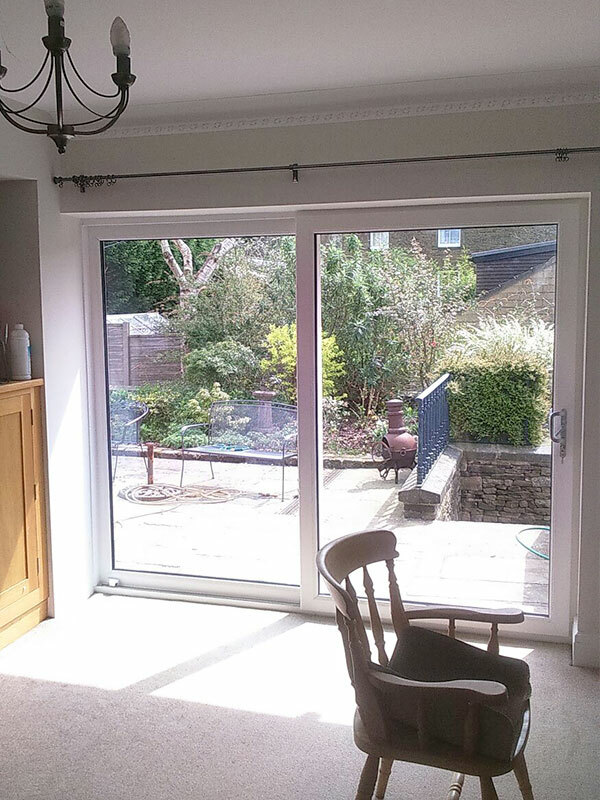 With sliding patio doors from Reddish Joinery, you can create a bright and airy living space with wide-ranging views of your garden or outdoor area. Sliding patio doors create a seamless transition from interior to exterior space. On a warm Summer day, you can glide them smoothly and effortlessly open on their tracks to let in the fragrant Summer breeze. During Winter, they can be securely shut, keeping your home warm and cosy with their excellent thermal efficiency qualities. Our sliding patio doors are suitable for all types of home. From bungalows to high rise apartments, our doors can be built to meet your exact specifications. They can be made to fit into any space, incorporating 2, 3, or 4 glass panes, with your choice of which ones to slide. 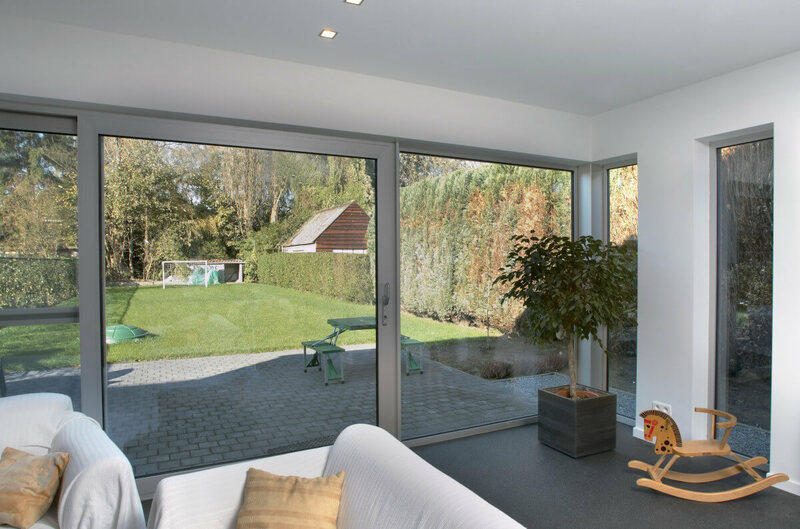 Available in uPVC or aluminium, a wide range of colours and a multitude of handle styles and finishes; our sliding patio doors can match any interior or exterior styles. 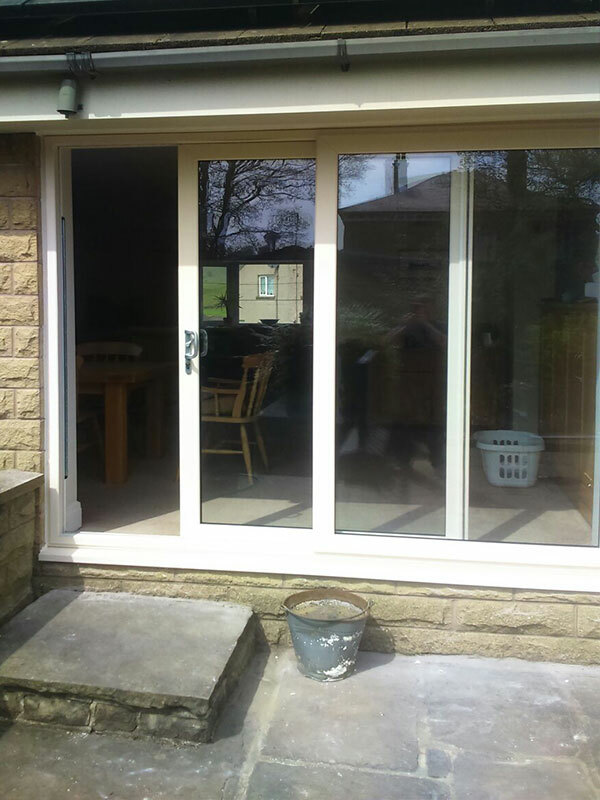 We offer optional low thresholds for ease of access, you can even install sliding doors as a front entrance with an optional mid-rail and letterbox. 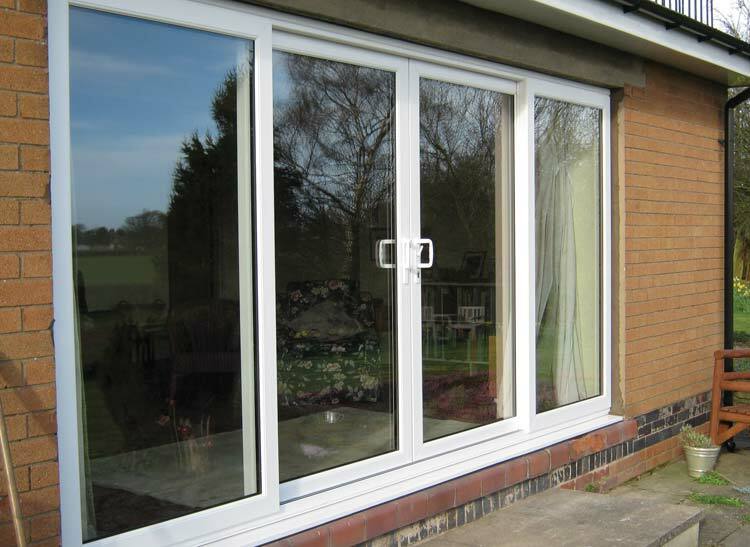 If it’s your intention to modernise the look of your property, our aluminium sliding patio doors are perfect. Their slim frames make use of crisp, sharply-defined lines, creating a stunning facade whilst maximising light entry into your home. Polyamide thermal breaks allow U-values as low as 1.38 W/m²k to be achieved, making your home much more energy efficient. Therefore, allowing you to save plenty on your energy bills. The use of high-grade, ultra-durable aluminium ensures that they’re built to last too, whilst a 4-point locking system will keep you and your family free from any unwanted visitors. Thanks to internal sliding panels and a six-point locking system, you can relax in the knowledge that your home is secure. Enjoy a stylish looking set of doors thanks to a slim stepped 86mm outer frame. In addition, multi-chambered, thermally efficient sashes ensure your home will feel instantly more comfortable, saving you money on energy costs too. As with all our uPVC products, you needn’t worry about the need to perform unnecessary upkeep either. No matter what material you opt for, our sliding patio doors are built to last. They won’t crack, split, or warp and will withstand the most extreme weather conditions. When you want to upgrade your existing patio doors, sliding patio doors from Reddish Joinery could be the perfect answer. We are a family run business who pride ourselves on our excellent customer care. 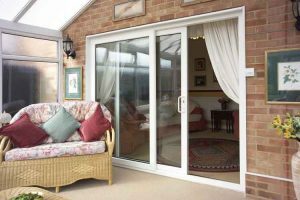 Let more light into your home with our top of the range sliding patio doors.